Vitamin B6 (Pyridoxine) under a microscope! Consuming vitamin B6 is important for giving your body the energy it needs and a proper balance of hormones to level out your mood. It is found in a wide variety of foods such as whole grains, nuts, and most meats. Usually a balanced diet provides sufficient pyridoxine levels. 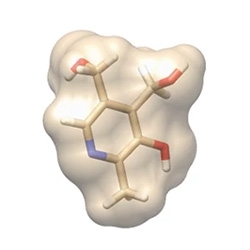 Our Vitamin B6 is based on the shape of the actual molecule! B6 is one of many B vitamins, known together as the vitamin B complex. In 1912 a scientist named Casimir Funk discovered the first B when he isolated B1 as a cure for the disease beriberi. Funk was also the first to use the term “vitamine” from “vita” for life and “amine” for the molecular structure. By 1920 four vitamins had been found: A, B1, C and D. It was the start of an entirely new frontier for nutritional science and public health. 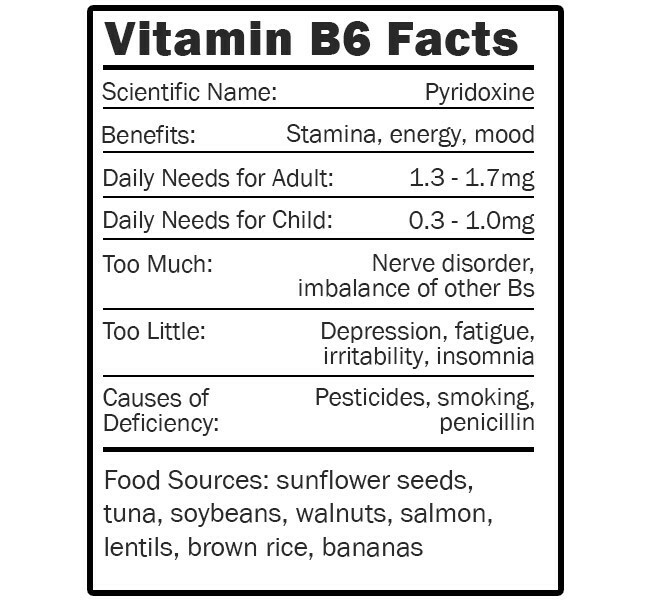 Like the other Bs, B6 helps release energy from carbs, fats and proteins. It acts as a partner for over 100 different enzymes. B6 plays a role in many functions including growth, cognition, metabolism and synthesis of antibodies and neurotransmitters. 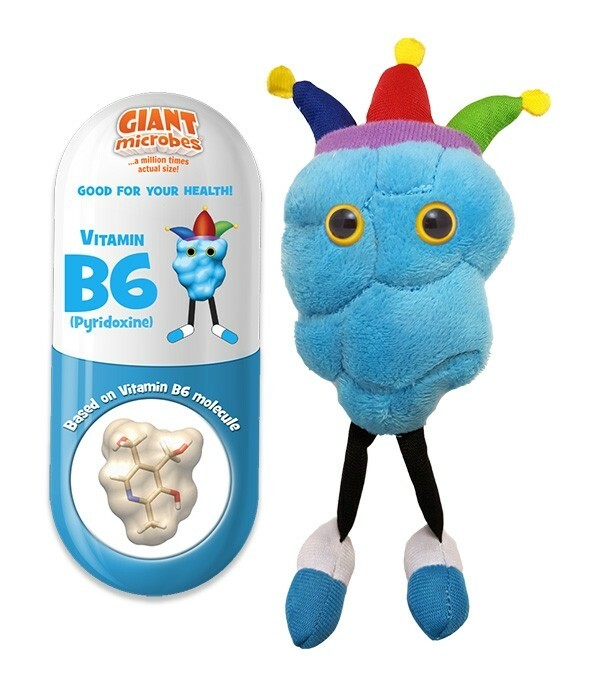 Deficiency of B6 can lead to fatigue, depression, irritability, insomnia and confusion. It’s found in so many foods that most people get plenty from a normal diet. You get a good supply of B6 by eating whole grains, nuts, vegetables and moldy cheeses. So if you’re feeling a bit down or moody, a snack of pecans and gorgonzola might give you a little B6 blast! Giantmicrobes are based on actual microbes, cells, organisms and other critters, only 1,000,000 times actual size! Plush from all new materials. Stuffed with polyester fiber fill. Surface washable: sponge with water & soap, air dry. Each plush microbe includes a printed card with fun, educational and fascinating facts about the actual microbe or cell. Every product meets or exceeds U.S. and European standards for safety. For ages 3 and up. 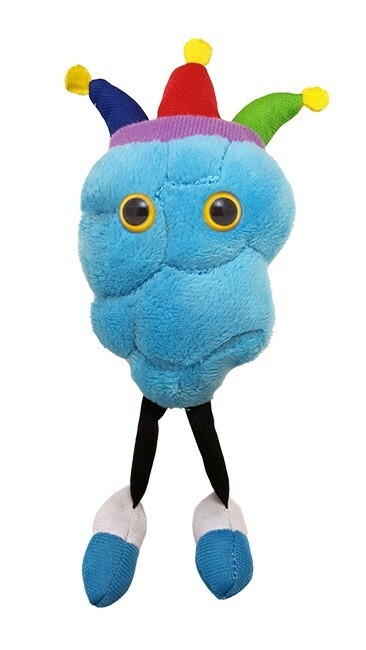 Sign up today to learn about new GIANTmicrobes product releases, promotions and special discounts. © 2002 - Giantmicrobes, Inc. All Rights Reserved.